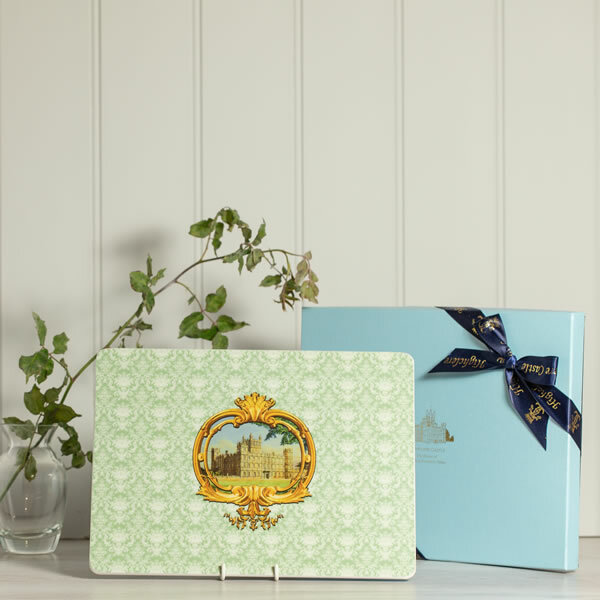 A set of four coasters decorated with our signature design based on the green silk wall paper in the Castle's drawing room and illustrated with a view of the Castle. 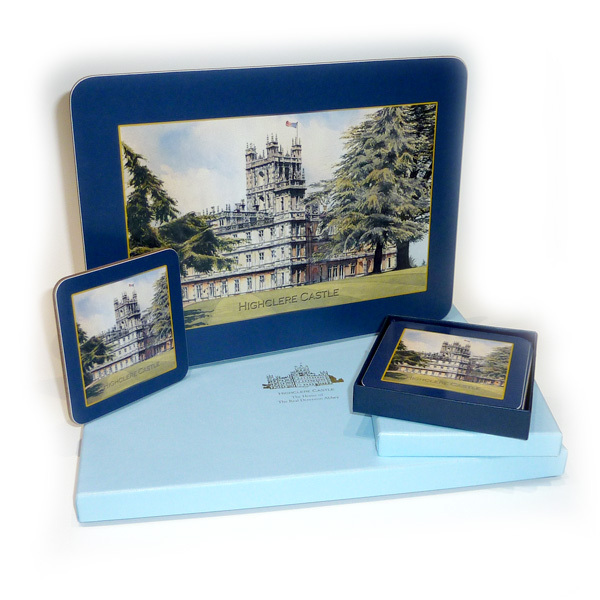 Presented in a Highclere Castle gift box. Made in the UK of superior quality matt finished melamine. Heat resistant. Wipe clean. Designed to match the coasters, trays and Signature Bone China range. Size: 30cm x 22.5cm x 2cm boxed (12” x 9” x ¾” boxed) approx.